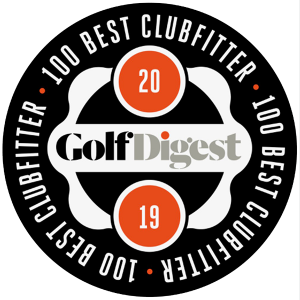 No matter what level golfer or handicap you currently hold, there is a ton of value and reasons why you need go through a custom club fitting. The obvious ones that people think about are, length, lie, flex and maybe what size of grip they might need. But what most of the golfing world does not understand are how wide the tolerances are from each shaft to shaft even though they look like the exact same shaft. That is one of the main reasons The Club Fix exist. We build every golf club that we fit you for to the exact specs, length, loft, lie, grip, weight, and the true flex on every single club. This is something you will never get unless you go see a professional fitter and a professional builder. And yes, builder as well. There are a lot of good fitting companies out there that do a decent job, but unless you get your clubs built the exact way you need them you won’t be satisfied with your game. We will Build you a Better Golf Game! Guaranteed! In addition, make sure you are getting fit using the best in technology radar system. At The Club Fix Arizona in Phoenix, we use Trackman Golf for all our fittings. We also us Titleist ProV1 golf balls to complete our fittings. Use this technology, outdoors with real golf balls, not range balls, gives the client the best custom club fitting experience possible on the market. Another great part about The Club Fix AZ is we have absolutely zero bias to any company out on the market. We have all the major manufactures equipment to hit and test. All we care about is how consistent you are hitting your shots and how the clubs feel in your hands. Our fitting system allows us to put any custom shaft in any head we choose. Giving us thousands of different combinations to fit you for. At minimal from this post, I want you to take away that you need to get a custom club fitting done in addition make sure you get them built by a professional as well. This is imperative to getting better and improving your golf game.